Recommended springs #: 272, See our other listings. All Howards™ Cams use the highest-grade race quality cores available. All hydraulic and mechanical flat tappet camshafts are 100% Rockwell checked and Parkerized to ensure the highest quality control standards available. Howards™ Cams are manufactured on dedicated high precision CNC cam grinding machines in the USA. This sale is for the camshaft only. No lifters included. You must run an oil additive or race grade oil when running a hydr. flat tappet cam. We find the Howards brand cam to be more resistant to lobe failure than any of the others on the market. They have a better Parkerizing treatment than any we have seen, and most importantly, they are precise about the amount of lobe taper, "1.5 thousandths." See our other listings for many cam related accessories. 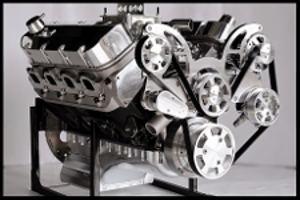 For those not familiar with the different types of camshafts on the market, we will explain this to you. This camshaft is considered a flat tappet style cam, which is a non roller type cam and does not use roller lifters. 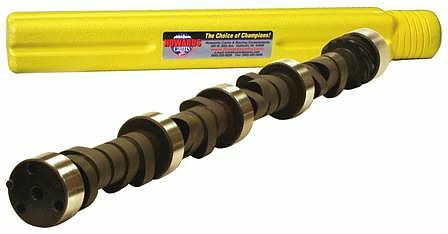 It is not considered a solid lift camshaft. It is a hydraulic flat tappet camshaft. This is the type of cam used in all cars in the mid 80's on back. This is what many medium class street rods run. Many will tell us they are running roller rockers on their engine, or tell us they want to run them, when asking about this cam. You can run roller rockers regardless of what type cam you choose, and we advise it. If you do decide to run roller rockers, it is strongly advised that you stay with a 1.5 ratio if the cam is a hydraulic flat tappet style. The higher ratio rockers are suitable for roller cams only. You will most likely not be able to run stock GM valve springs with this cam. There are a number of reasons why. Coil bind will most likely be encountered, valve float past 5500 rpm is most likely due to insufficient spring pressure and very damaging to valve train components, and your stock springs are most likely well past worn out and will break with ease using a cam that is several sizes larger than your stock cam. Take notice to what must be done to the rod body and bolt section to achieve cam to rod clearance in the picture below when using this cam in a 3.750 stroke (383 or 406) engine. The idea of having to go this far into the bolt may be unsettling to many, but this is what is required. Our new line of Comp reduced base circle cams eliminates having to do this. This is one of the reasons we now use the Comp reduced base cams in all our sbc engines. The price is similar to the Howards cams, and the performance is outstanding. 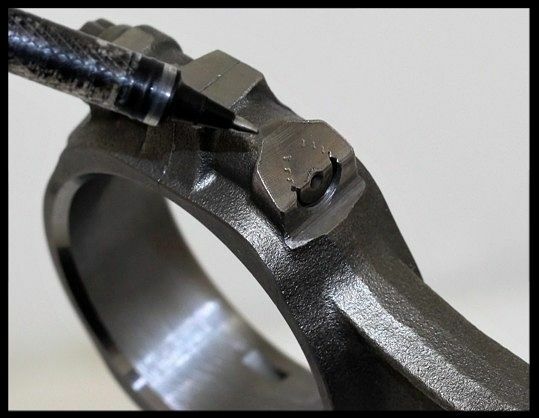 We feel the integrity of the rod bolt is somewhat affected by this grinding, not to mention, if ground too much, may destroy the rod body and bolt. We have chosen six custom grinds in our Comp line to accommodate most any sbc street rod build. Should you decide to purchase the Howards cam in this listing for use in a 3.750 stroke engine build, then the rods will all have to be ground as shown in the picture below. H-beam rods will require even more removal of material.